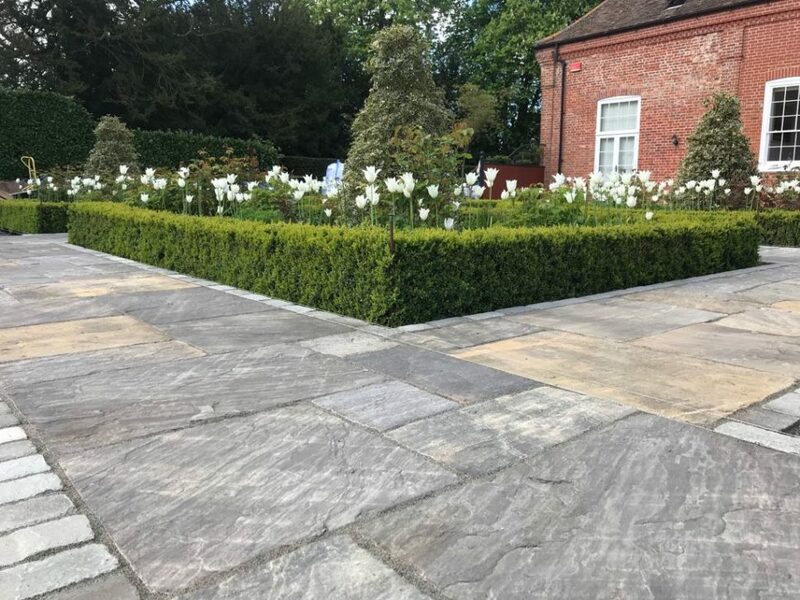 The name of the paving used is Parish. 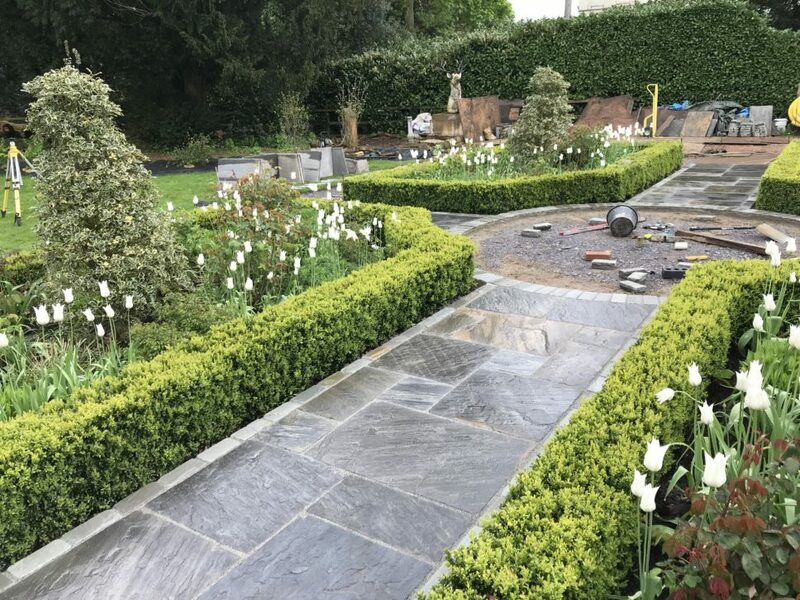 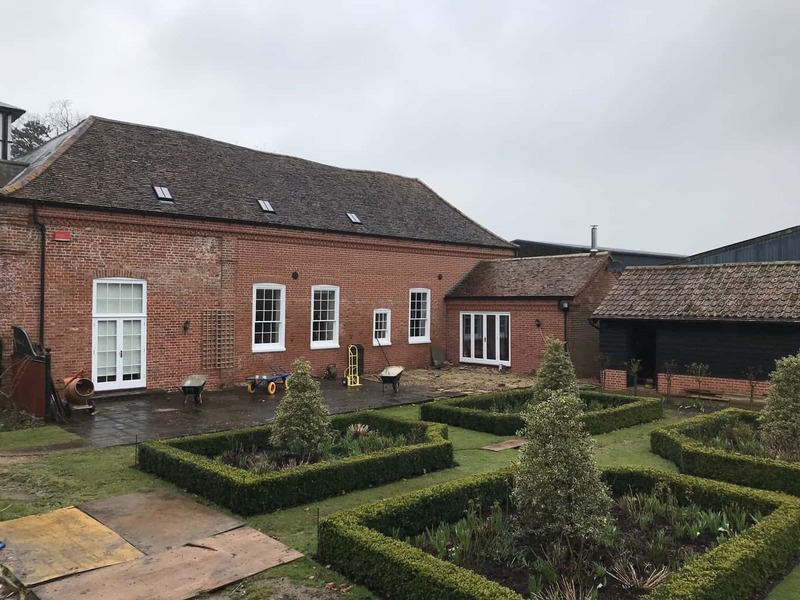 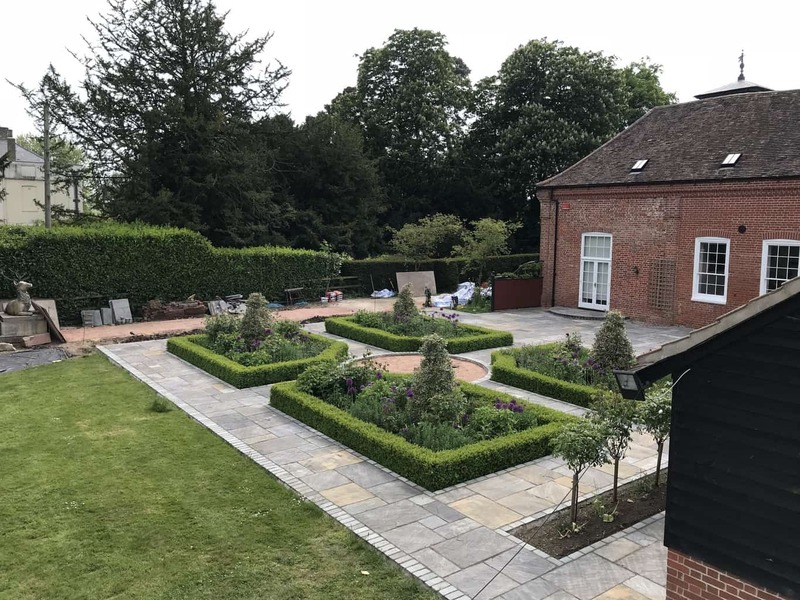 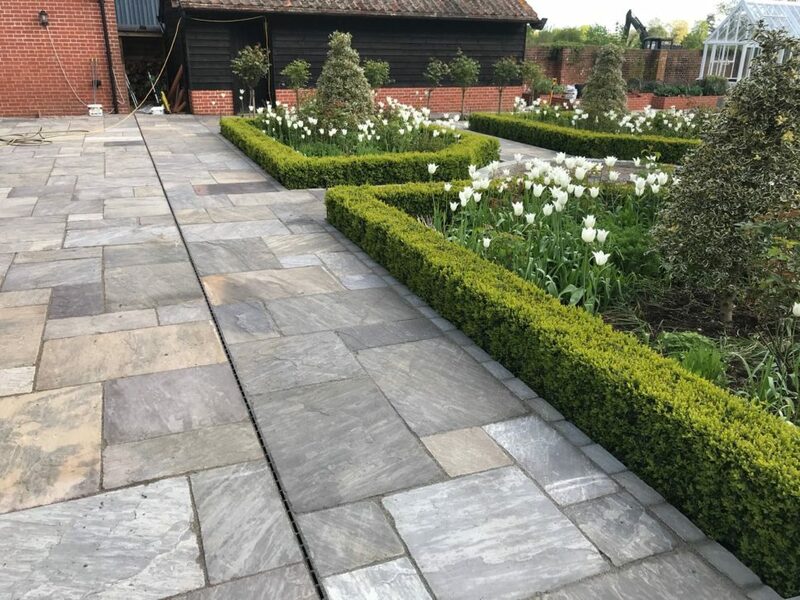 This particular style of slab is in an antique style finish meaning they have been through a process known as “tumbling” which gives the paving a more smooth riven finish. 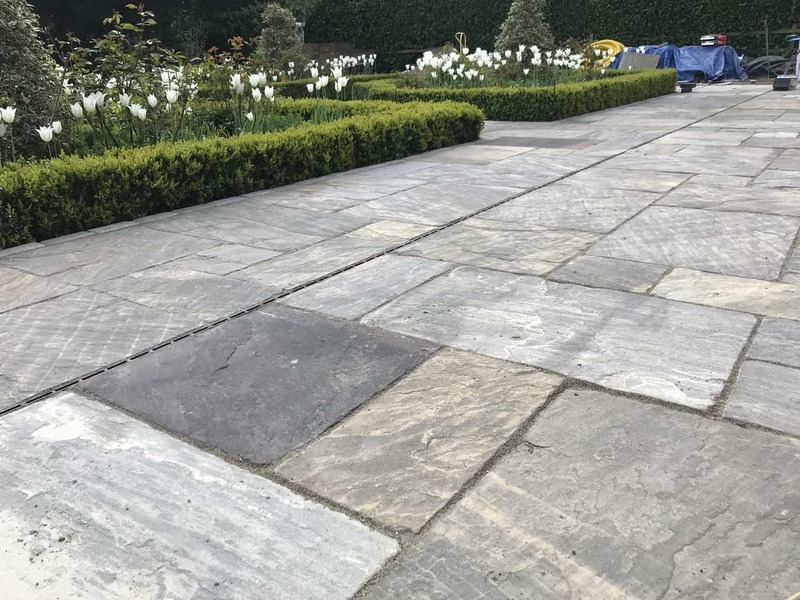 Within the Parish range, you will get a mixture of grey/black and beige tones.